The first surviving Kentucky census was the 1810. Here you can post and read queries, bible records, biographies, obituaries, pensions, estate records and more. 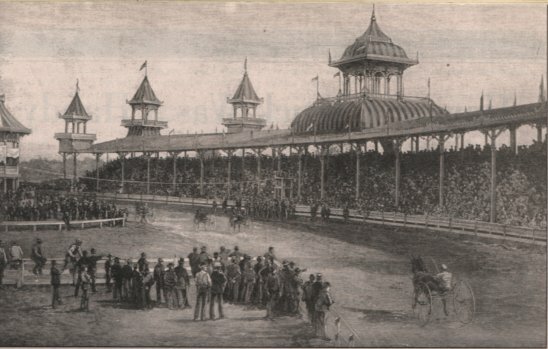 Pre-1911 Fayette County Birth, Death and Marriage records available through the Kentucky Department for Libraries and Archives (KDLA) are: birth, death and marriage for 1852, 1853, 1854, 1855, 1856, 1858, 1859 and 1861; birth and marriage for 1857; and marriage only for 1862, 1903, 1904 and 1905. Fayette County was one of the original three counties formed 30 June 1780 from Virginia's Kentucky Territory. Named for the French General Marquis de LaFayette who served in the Revolutionary War, it is located in the Inner Bluegrass region of the state. Pioneers arrived in 1774; Jacob Baughman, Hancock Taylor, Simon Kenton, James Douglas and John Floyd surveyed the area in that year. William McConnell settled in 1775 and the Bryant family in 1776. Early stations included Levi Todd's (1779) and William McGee's (1780). Robert Boggs built here in 1784 and Levi Todd in 1787. 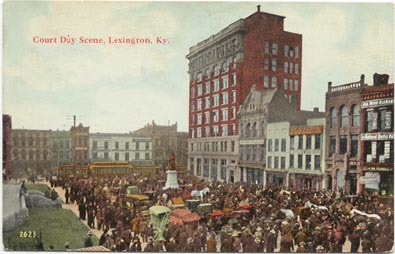 The county seat is Lexington, which was organized 5 May 1782. 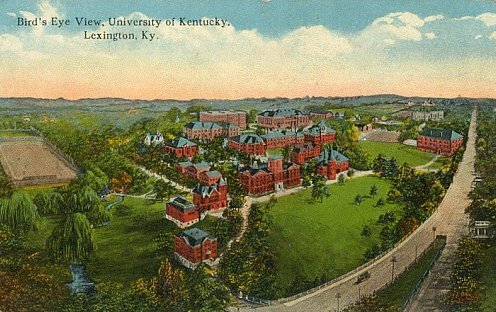 It was named years earlier by Captain Robert Patterson, while he was being guided through the Bluegrass by Simon Kenton. He reportedly selected the name Lexington upon hearing of the historic battle that began the American Revolution. More on Lexington and Fayette County from Wikipedia Encyclopedia. Fayette's neighboring counties are Bourbon, Clark, Jessamine, Madison, Scott, and Woodford. If you're planning a trip to Fayette County, visit the Lexington Convention and Visitors Bureau for assistance. For more on Kentucky, visit Everything Kentucky. In early 1996, a group of genealogists organized the Kentucky Comprehensive Genealogy Database Project. 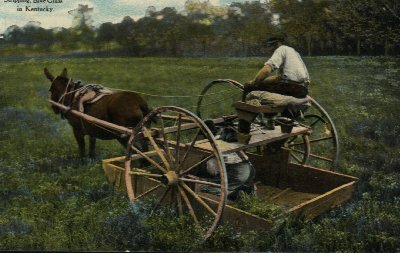 This project was designed as a series of county-based Web pages designed to help family historians locate local resources that were linked through a single access point. Jon Hagee developed, authored and hosted the Fayette County KYGenWeb site from March 1996 until April 1999. Pam Brinegar then hosted the site until December 2006. Bill LaBach began hosting the site December 18, 2006 until 2014. All materials furnished on these pages are for free, non-commercial use by individuals. The information presented on them was either obtained from sources permitting free distribution, or generated by the host/author. Any commercial use or distribution of information obtained from this location without the consent of the host/author is prohibited. Individuals posting or otherwise contributing material to this site do so in recognition of its non-commercial nature. Space for this site is generously provided by Rootsweb.